Do you have Halloween entertaining to do? If so, I have a great recipe that will likely make every ghoul you know happy. Serve these little treats with a piping cup of coffee, hot chocolate, or apple cider and you’ll likely be the best fairy Godmother on the block. 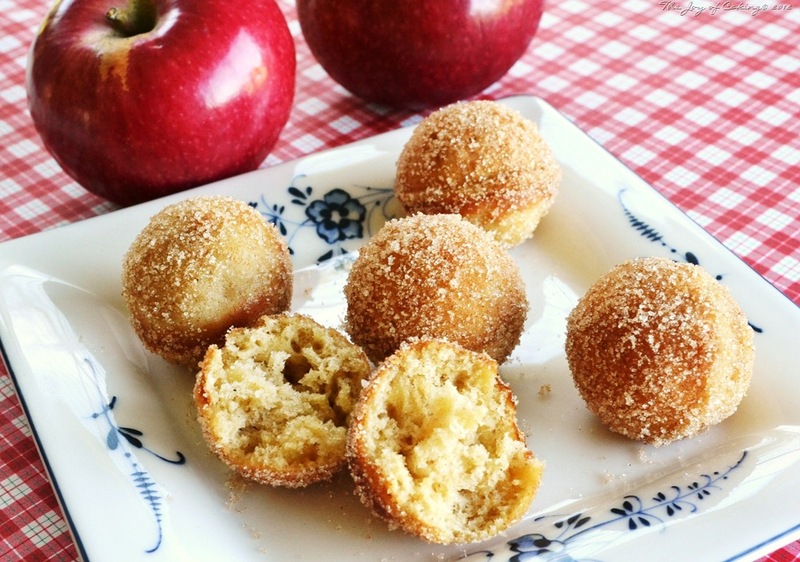 These Maple Apple Doughnut Holes are delish, and this recipe makes about 4 dozen – so you’ll have a lot to go around. I made these with my babycakes maker which I end up using more for doughnut holes than I do for cake pops. Maybe you’re going to get tired of hearing me talk about it, but it has truly been a great investment. 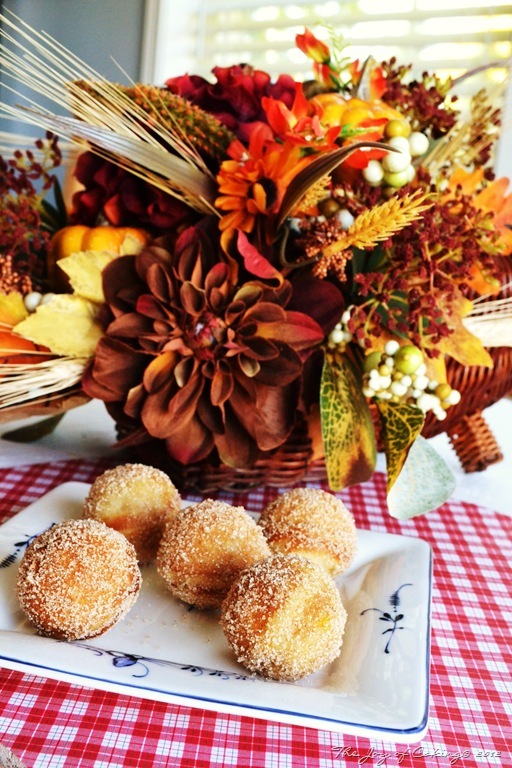 Did you see the Baked Pumpkin Spice Doughnut Holes that I made last month? If not, you won’t want to miss them either. In large bowl, add egg, oil, sugars, and grated apple; mix thoroughly. Mix in maple syrup, pumpkin pie spice, salt, and baking powder. Add flour and milk; mix until all ingredients are completely blended. Using a babycakes maker, bake the doughnuts. After removing them from the maker, roll in cinnamon & sugar. Store in a paper bag to avoid having the cinnamon & sugar-coating disappear. *If stored in an airtight container the coating will disappear and you will need to re-coat them before serving. 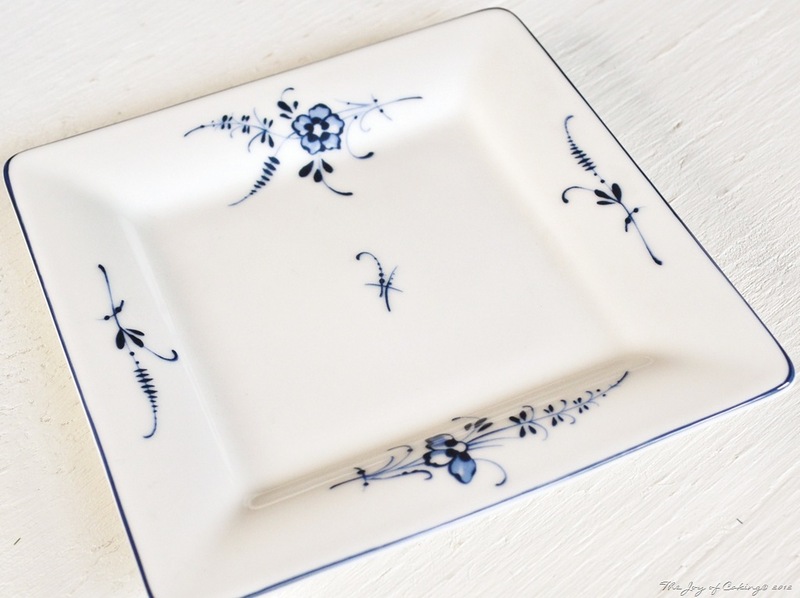 Don’t you just love this pretty Old Luxembourg square bread & butter plate that I served the doughnut holes on? It’s from Villeroy & Boch. I am a very lucky girl because they sent me a couple of pieces of their fine porcelain to try out. They have the most attractive pieces of dinnerware out there – that’s my honest opinion, and I’m not saying it because they sent me their product. When I scroll through their on-line catalogue my wish list continues to grows and grow. The problem is I can’t decide on just one pattern. I love them all! Who makes your favorite dinnerware? Do you have Halloween plans this year? Are you a fan of doughnut holes? Come on people – chime in! Just made these and they are delicious! The cinnamon sugar mixture didn’t stay on very well, but it didn’t matter since they were so tasty 🙂 I love finding new recipes to use with my cake pop maker~ Thanks! So glad you liked the recipe! I also found the cinnamon & sugar mixture didn’t coat the doughnuts as much I would have prefered either. But it’s probably just as well because I can’t stay out of them – lol! Thank you for sharing these wonderful little gems with us! The plate is gorgeous. You know how partial I am to pretty dinnerware! I’ve also been considering a Babycakes Maker. After looking at what you made I’m convinced I need one. I love Villeroy & Boch – they have the nicest patterns. I have 2 sets of Wedgwood that I love but V&B have the niftiest designs, don’t you think? Much more contemporary. Thank you. I am partial to blue and white china patterns.